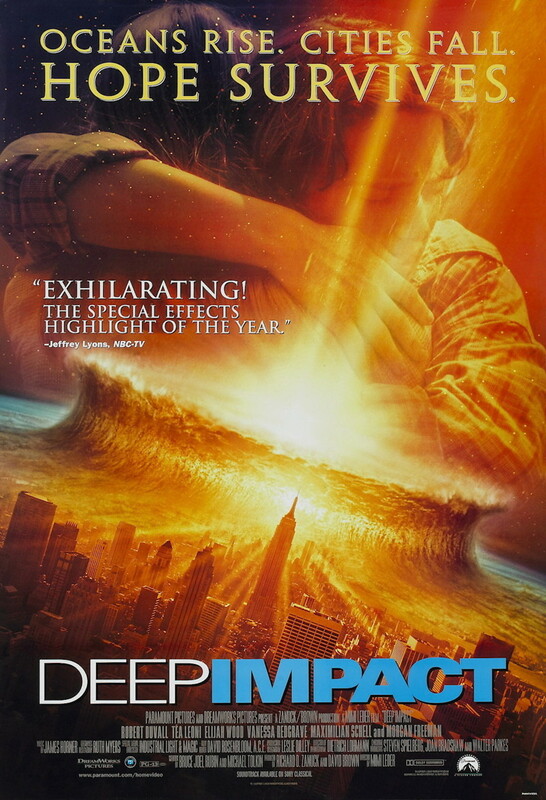 The plot lays out like this: "Deep Impact" isn't just a title for a film - it also doubles as code for "There's a meteor heading straight for Earth, and if it hits the planet, it'll be curtains for Homo Sapiens". When driven young journalist Jenny Lerner goes hunting for a story of government scandal, she ends up uncovering the truth about this meteor. The governments of the U.S. and Russia assemble a team to stop it, but soon enough their fallback plan leaks out, and the public learns the truth: Humanity must not die out, not even if the stop-team fails. To ensure the survival of the species, shelters have been set up, fallout shelters on steroids. But there aren't enough, not by a long shot. From that point, Deep Impact explores the average citizen's attempt to understand the logic behind - and their place in - the list of who gets to live and who will be left to die should the stop-team fail their mission.